Heavy-duty spike designed to prevent seagulls from nesting in small areas on roofs. 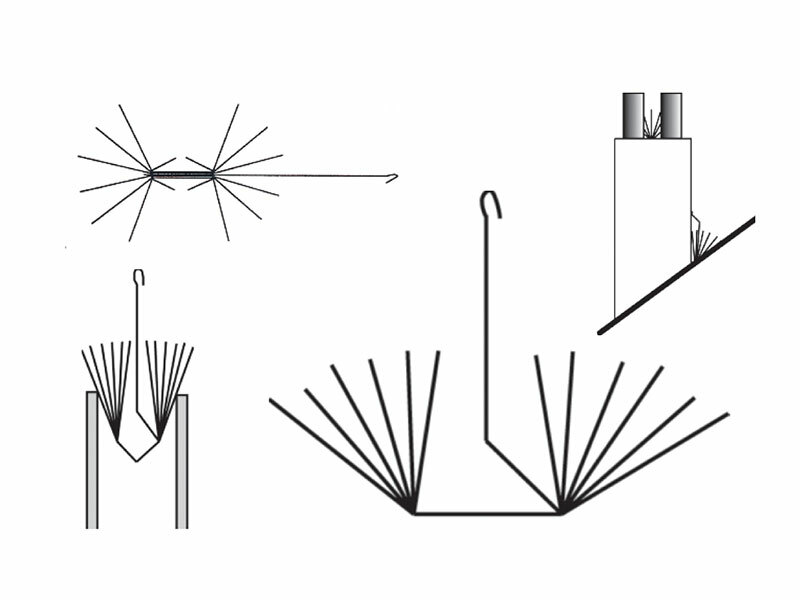 Made from 3 mm stainless steel rods, it can be bent in place to protect areas such as chimney pots, between the slope of a roof and the chimney stack. Recommended to be used in conjunction with Avipoint G20 Bird Spikes. Supplied flat packed.